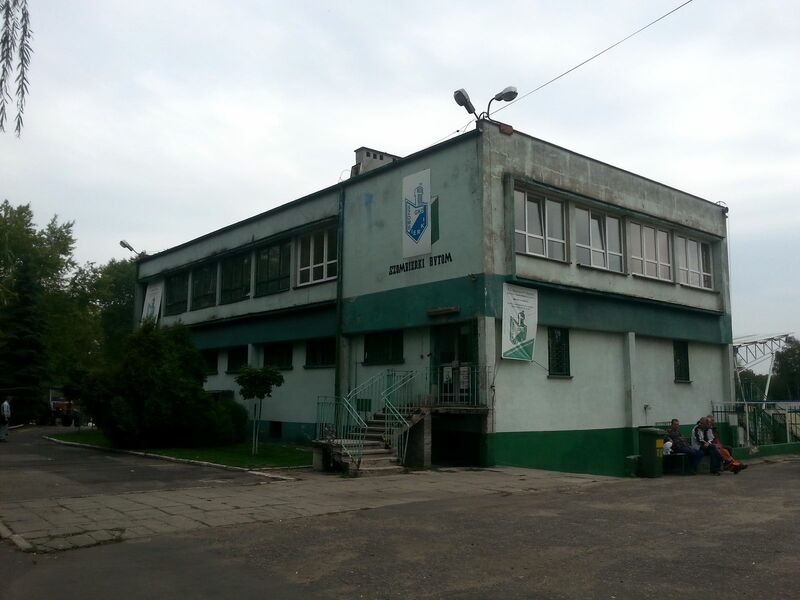 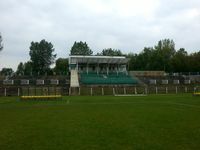 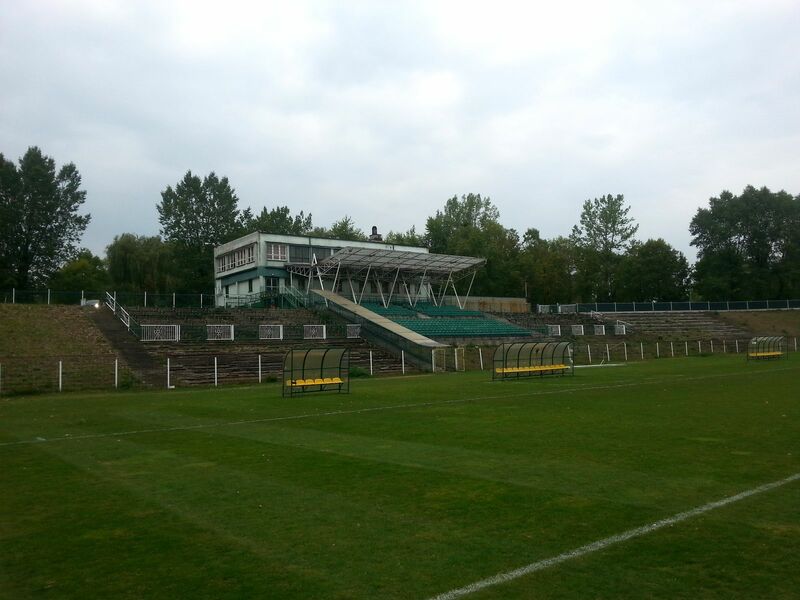 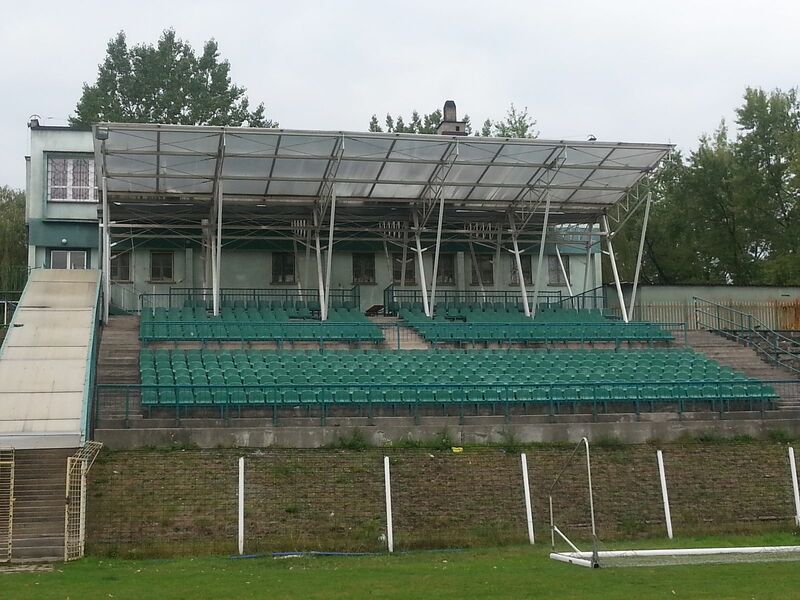 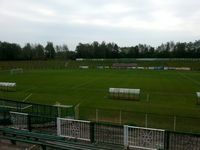 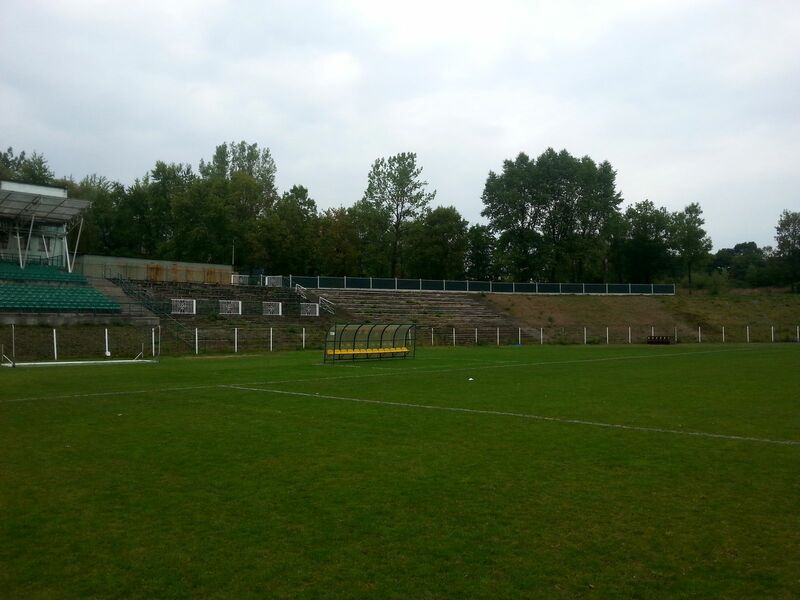 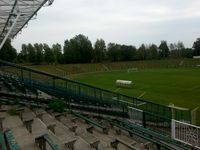 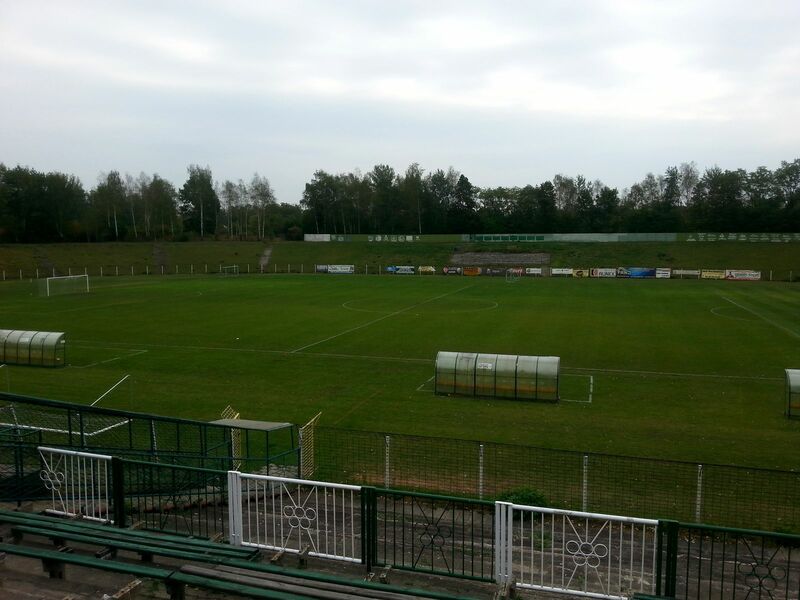 It’s one of two most important stadiums in Bytom, built in 1968 in the southern district of Szombierki. Its construction was financed by the Szombierki coal mine, which at that time was at peak of its prosperity. 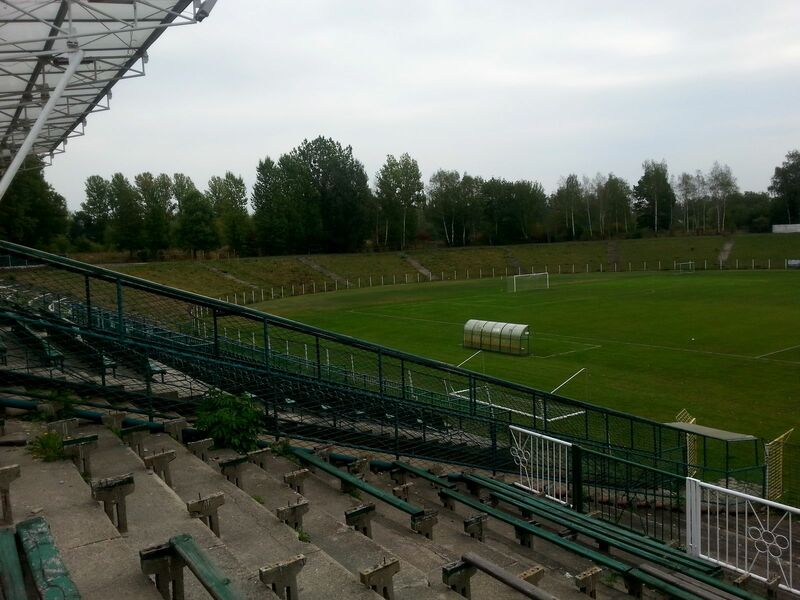 Thus the great size of 30,000 and aspirations reaching the Polish championship. 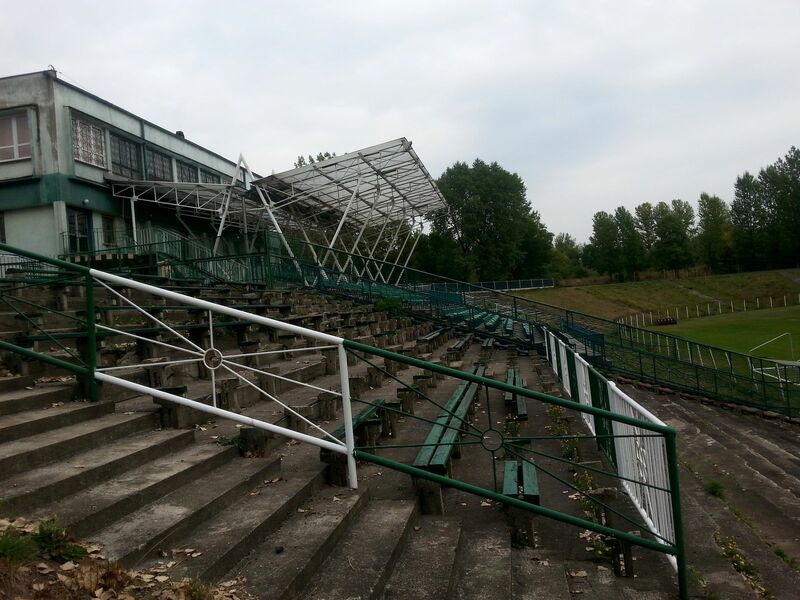 Those were realistic, as it proved in 1980, when Szombierki indeed dominated domestic football. 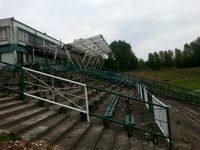 Unfortunately, just like the now defunct mine, the stadium went into despair in 1990s. 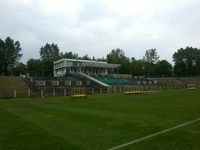 It took the football club down too, ending with the main team being withdrawn from professional football in 2007 (now revived again, partly as a grassroots initiative). Around that time the stadium was taken over by the municipality of Bytom to make it usable again. 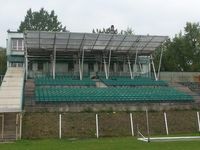 Dilapidating roof over most of the west stand was taken off and a small central section went through a thorough redevelopment. 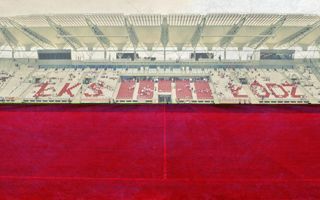 Still, capacity today stands at some 1,000, a minor percentage of the giant. 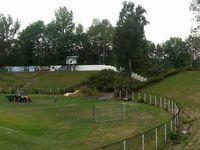 Of the 23 sections 16 are entirely covered by vegetation.